John Robert Thorpe a longtime former resident of this area, passed away unexpectedly on Wednesday, May 10th, 2017, in Plattsburgh, New York. Born on April 1, 1986, in St. Albans, he was the son of Robert and Mary (Montagne) Thorpe. John was 31 years old. He was a 2005 graduate of Bellows Free Academy and went on to serve in the U.S. Army. Upon his honorable discharge, he received an Associates Degree from Maryland Community College and was a student at George Washington University Medical School. 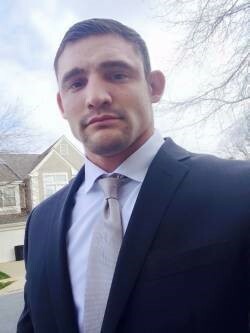 John had a passion for fitness and was an MMA fighter training at the Evolve Academy, taking several bouts in the Washington DC area as well as the NY Invitational. John recently became a motorcycle enthusiast and enjoyed riding with his friends. John is survived by his wife, Camila Thorpe of Germantown, Maryland; his son Hayden W. Thorpe of Fairfax, Vermont; his parents. Bob and Mary of Grand Isle, Vermont and his sister, Jaime Thorpe Bourgeois and her husband, Sean, and their daughters, Brilee and Acelyn Bourgeois all of Swanton, Vermont. He is also survived by his grandmother, Betty Montagne of St. Albans, as well as several aunts, uncles and many cousins. John was preceded in death by grandfather, Roger Montagne and grandparents, Grace T. and John Thorpe. John’s family will greet friends on Monday, May 15th, 2017, from 4:00 to 7:00 PM at the Heald Funeral Home, 87 South Main Street, St. Albans. Private interment services will be held at a later date at the family lot in the St. Albans Bay Cemetery. As an alternative to flowers, memorials in John’s name may be made to the Franklin County Animal Rescue, 30 Sunset Meadow, St. Albans, Vermont 05478. To send John’s family a written expression of sympathy, please go to his on-line guest book at www.healdfuneralhome.com.